This level has medium difficulty. For this level try to play more from top part of the board where more candies are available to play and make special candy. 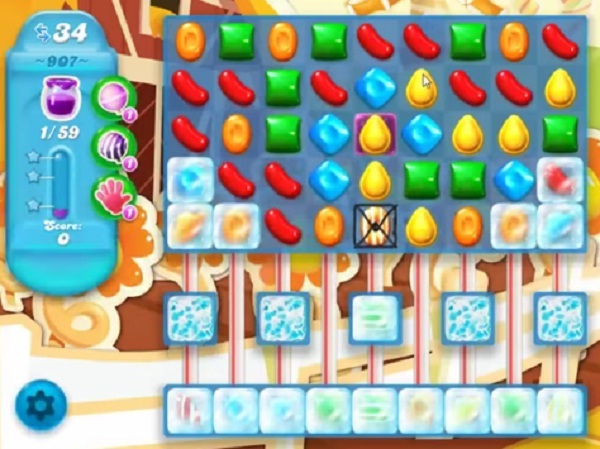 Use striped candy and combine with other special candy to play from bottom part of the board. My version only give you 22 moves! Is King Kidding? Impossible! I guess They don’t want you to continue playing the game.